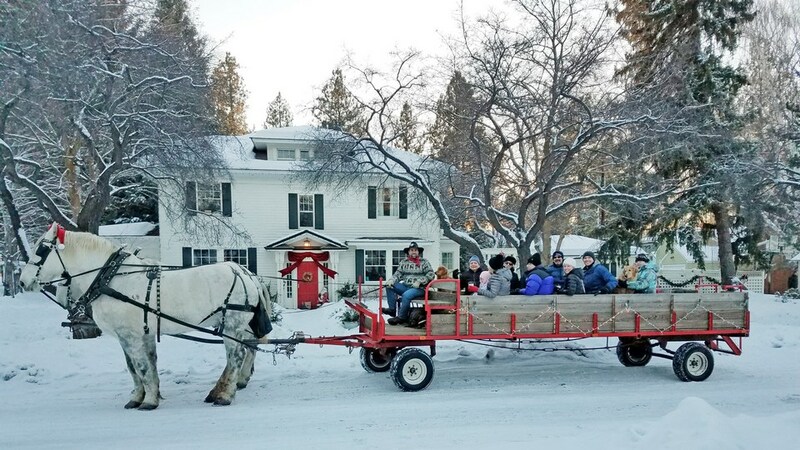 Meet at the Pine Tavern, located downtown Bend for a day or evening of horse drawn Christmas caroling. Christmas cookies and hot chocolate provided by Foxtail Bakeshop. Two big, Percheron horses complete with jingle bells pull the wagon for an hour through downtown and the historical district. Rent by the seat, or the whole wagon! The Pine Tavern will offer a discount on any food order before or after for ride. We provide a Christmas Caroling book, but you supply the voices!